While the Hepburn Collection cannot project those qualities as fully as the iconic "Audrey" who inspired its name, we did think of her simple beauty when we set out to design this tasteful assortment of bathroom furniture. 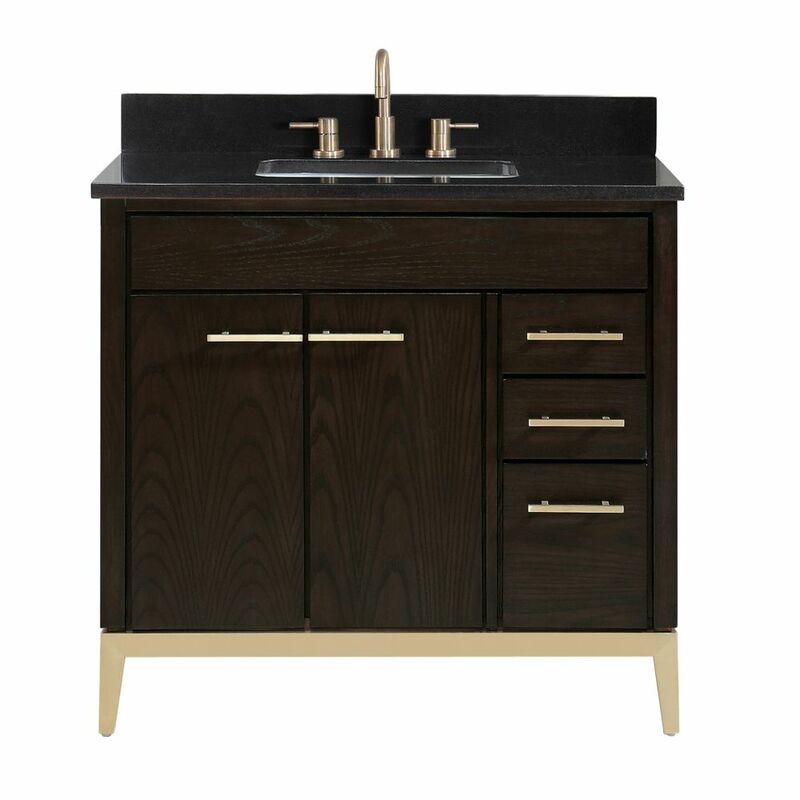 The 37 inch vanity combo is layered with a sumptuous Dark Chocolate finish upon the solid ash wood frame. Added premium materials like a sturdy matte gold base and hardware and soft-close glides and hinges. The combo also includes a black granite top and rectangular undermount sink. Match the vanity with the complementary mirror and linen tower, and Hepburn is guaranteed to delight for years to come. The Emma 31 inch vanity combo embraces purity of design and masterful construction. The vanity in Dove Gray finish paired with brushed nickel hardware brings to life the cabinet's simple, clean lines. Emma provides abundant storage and Zen-like functionality. Soft-close glides and hinges keep things quiet and the solid wood frame and dovetail joints keep things strong. It includes a black granite top and rectangular undermount sink. The collection also features complementary mirror and linen tower to expand the look. Emma makes your bathroom beautiful. Hepburn 37 inch Vanity Combo in Dark Chocolate with Black Granite Top While the Hepburn Collection cannot project those qualities as fully as the iconic "Audrey" who inspired its name, we did think of her simple beauty when we set out to design this tasteful assortment of bathroom furniture. The 37 inch vanity combo is layered with a sumptuous Dark Chocolate finish upon the solid ash wood frame. Added premium materials like a sturdy matte gold base and hardware and soft-close glides and hinges. The combo also includes a black granite top and rectangular undermount sink. Match the vanity with the complementary mirror and linen tower, and Hepburn is guaranteed to delight for years to come.